A prepared page with names of important figures and key biographical points about the 1980 United States men's hockey team as portrayed in the movie "MIRACLE." 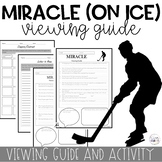 This viewing guide is for the movie Miracle about the 1980 Olympic hockey team. 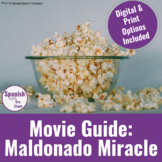 The viewing guide can be used for showing the whole movie start to finish or you can follow the time stamps to show only 94 minutes of the movie. A teacher's answer key is included. Questions for students to complete while watching the film Miracle starring Kurt Russell. It is a great movie about the power of teamwork and leadership. 8 questions cover the film from beginning to end. Excellent to use as class discussion questions too. 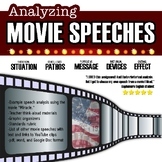 Use a movie to alleviate classroom boredom and reinforce a skill. (My students always loved a movie break) With this set of film choices, students see that to achieve a goal, hard work is involved. To achieve your dreams, you have to "do something." Most of us do not have our dreams handed to us.